Urban Legions is a new online browser-based RPG of superheros and super-villains. 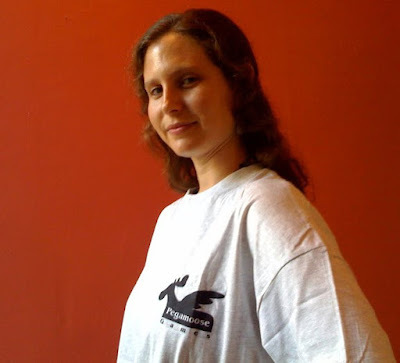 Gabriella models my new Pegamoose T-shirt. 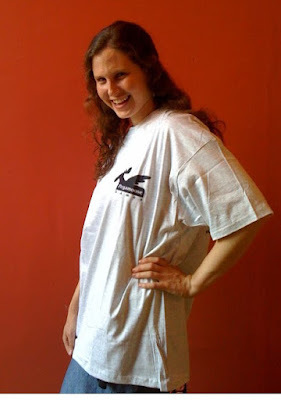 I have a Pegamoose T-shirt. Doug from Pegamoose Games needs some illustrators for a new Pegamoose game. "The game has potential for hundreds of images. Each event can have its own image. If an event where like a chapter of a book, the image should be something like a picture associated with the chapter heading. We don't expect any one artist to draw all the images. Plus, we'd never be able to afford all that if/when we could pay for artwork. That's why we were thinking about opening it up to the community. Help get the artists' names out there in a unique way."